At Salem Five, we make banking better. 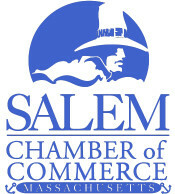 Founded in 1855, Salem Five operates 29 branches in greater Boston with assets in excess of $3.3 billion. Soucy Insurance Agency has been servicing your insurance needs for years. We are built on the principles of providing superior customer service and quality insurance solutions for our customers. St. Jean's Credit Union is Massachusetts' First Credit Union, organized in 1910.